Mix some metal with some leather and you have Estaun's amazing line of washer bracelets. Who knew plumbing supplies could be so beautiful? You can buy these beauties on Totokaelo, a boutique based in Seattle which arguably is one of the leaders of boutique retail in that city. The bracelets are on sale ranging from $23 to $34 each. I come from sisterhood --- growing up, it was my sister, 5 years my junior, and me learning about the world. Fond memories of constructing imaginary forts in the family room and throwing our mother's lingerie onto the dining room chandelier remain vibrant in my mind. Now that we are both adults, I see my little sister as a peer and friend --- and not to mention as a figure of style inspiration for me. Whenever I see her there is one interesting detail that provokes the imagination. So when I came across the two pairs of sisters in recent editorial, I was immediately drawn. First up: Phoebe and Annette Stephens, the design duo behind jewelry line Anndra Neen. A supremely elegant pair with a distinct point of view having been raised in Mexico City among artistst; not surprising at all if you are familiar with their designs. Refinery29 recently did a wonderful write-up on the Stephens sisters with beautiful visuals that showcase not only their jewelry line (mangled metal never looked so good) but their own personal style on body and in home. More coverage on the Stephens sisters here and here. Next up: The Thompson sisters are another inspirational pair - particularly in their sense for interior design. Daughters of artist Elizabeth Thompson, Victoria is a television producer and Antonia is a consultant at Robert Burke Associates, a consulting firm focused on the luxury market. 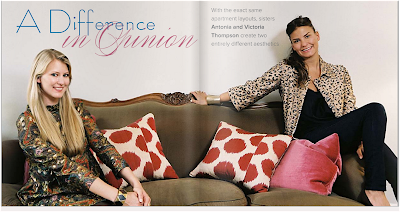 LonNY magazine's recent issue featured a 30+ page spread on the sisters' apartments which happen to be right next to each other in the same building.For so young a pair, the Thompson sisters' have a distinct point of view, succeeding at the proverbial high-low mix. Check out the LonNY feature - also because you can link to places where the Thompsons purchased items from their home via embedded shopping links! Check out Caldwell's Home feature here. I thought I had uncovered just about every great street style site in the market...all subscribed to and delivered instantaneously to my RSS feed. Apparently not as I just came across Citizen Couture (all photography by Jason) which is a pretty amazing collection of street style shots. Powered by Wordpress, the layout of the site is awesome - image rich and immediately invites you in the door as you begin to crave for just a little more. 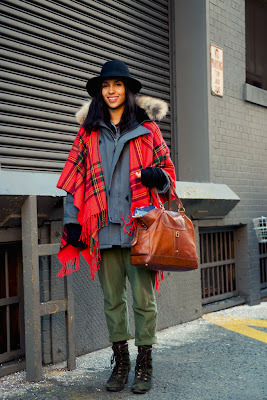 There's a gorgeous entry on Chimoa Nnadi (who was just promoted to style director at Fader Magazine - congratulations!). Be inspired by Jason's perspective. I am. Suno's designs have really captured my imagination since S/S 09. I have a deep fondness for prints and colors and have been refining my ability to mix and match seemingly conflicting patterns and textures. 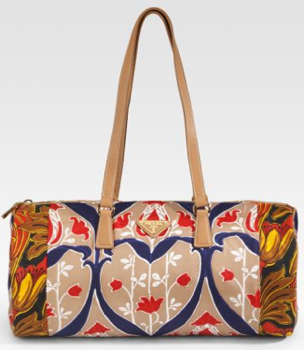 The tribal print theme continues with Prada's new Foulard silk bags for the summer (so many choices: here, here, and here). The appetite for bold print is certainly whetted, but with prices ranging from $950-$1,200, the wallet hesitates to open. Luckily, I came across Canadian upstart Osei Duro, an apparels and accessories design company started by Maryanne Mathias and Molly Keogh whose purpose is to design sustainable clothing based on West African textiles. I immediately fell in love with the label's line of tunics (at $105, I swooped one up immediately). The designs are intelligent and gorgeous. I support what Osei Duro is doing and encourage you to take a look - you will certainly be swept up in the printed spirit! 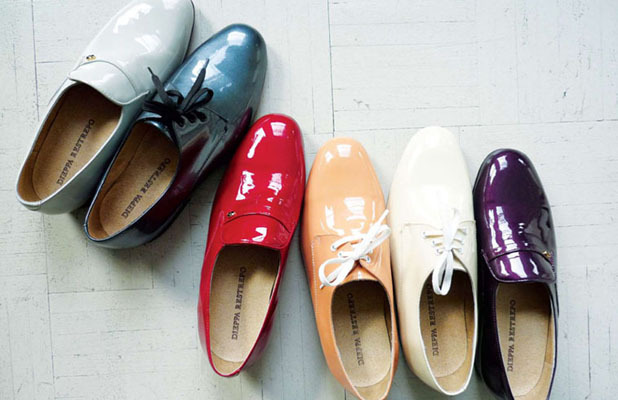 I think Dieppa Restrepo's shoe designs are wonderful!! They are at once classic and modern. Easy to wear with the basics yet still manage to stir the imagination of pairings. I just bought the black patent loafers pictured on the lefthand side of the photo (below). I can't wait to break them out with pants in the spring!! You can find Diepa Restreppo shoes here. 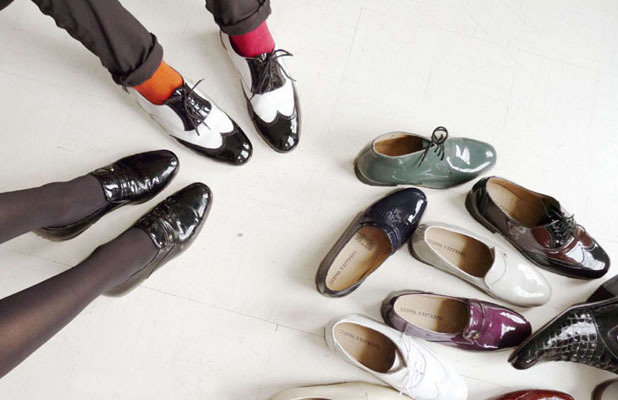 Inspired by classic gentleman’s style, Dieppa Restrepo is a sophisticated unisex collection of shoes founded by Colombian duo Andrea Vargas Dieppa and Elisa Restrepo. Blurring the division between the sexes, the collection is refined, androgynous and elegant. The shoe is the quintessential grown up sneaker: beautiful and simple enough for the chic and fashion-minded, yet comfortable and durable enough for their contemporary urban lifestyle. The shoe is a walking dichotomy, both non-intrusive and timeless, yet modern and undeniably present. NY Magazine did a great video short with Anna Della Russo....She takes us through her packing strategy ("heavy on bottom, light on top...like a club sandwich")...now if we only had her clothes! If you're looking for a new bag, J. Crew's spring line is pretty appealing. In particular, check out the Bisbee Satchel. At $268, it is a great deal. I just realized that my post on Cathy Horyn earlier today was my 100th post!! It's taken me some time to get to 100...I am now committed to posting more entries for anything and everything that I think is worth knowing to live a better life -- be it big or small. As of right now, I'm upgrading Amarcord Life to TheCuration.com. More to come in the near future but in the near term, I will continue to post; let me know what you think as I go! 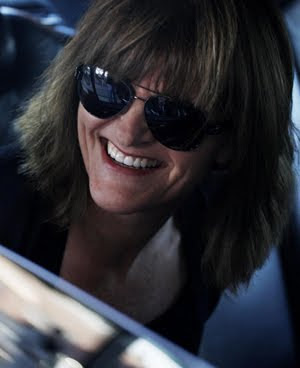 I just finished reading a great interview that Dirk Standen of Style.com did with NY Times fashion critic, Cathy Horyn. I don't believe the necessity of the critic has changed; it has seemingly faded to the background in current times for many reasons. The standout one goes to the so-called democratization of the fashion world where pre-teen editorial is sought after. I believe in critics because I believe that experience and education (whether ivory tower or real-world) count. There's so much clutter out there --- a cultivated point of view matters. There's room for everyone, but I feel like I'm learning something when I engage with Ms. Horyn's perspective. Everything is so instant now. Do you ever wish as a critic that you had more time to think over your reaction to a show? I’ve definitely felt when I go back to the blog the next day I can add more, change my opinion slightly. I don’t really have the need to say, “Boy, did I blow my judgment. Boy, was I wrong.” There was only one show that I felt I really, really got wrong, and I wrote about that…It was Stefano Pilati’s first YSL show. Blogging definitely allows you to elaborate, to return to the show, to think about it some more. I did it with a couple of Jil Sander women’s shows, where the show was in the evening and I didn’t have a lot of time [to write the review], and the next day I went to the showroom and touched all the things, and then in the blog I was able to say more. I love that combination. You don’t change your opinion but you expand on it, add more ammunition or more support for the argument that it was a great show or a bad show. [Barneys fashion director] Julie Gilhart told me that Alaïa sold all through the recession; he’s selling now. He wasn’t affected by the ups and downs. He’s [always] sold. When I went to see him in ‘99, he was having difficulty. But Barneys still would buy and Browns and a few other stores. And he still delivered, delivered late but delivered. He didn’t have a big name, the shoe business was a little dormant at that point, but Alaïa kept designing clothes. He kept designing things that nobody else was making. And that’s why Norma Kamali deserves support. She keeps designing things that are interesting. Sure, she does the bathing suits and the parkas, but she does other things, too. She keeps moving. And Azzedine is still working every night until three in the morning making something interesting. And I think the basis for it is a technique. It’s not a pretty dress. It’s a technique that interests Azzedine. He can figure out how to industrialize ruching or industrialize something else, so people who say technique is irrelevant are wrong. It isn’t. It motivates most of the serious designers. It motivates craftsmen. It was what motivated the most recent Jil Sander collection. 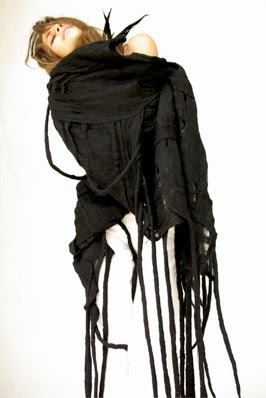 It was what motivated Martin Margiela when he was first coming along. It’s funny, I saw Karl Lagerfeld during Couture and we were talking about these jackets and dresses he did that he said were seamless. They weren’t seamless, but they kind of look it. It’s really interesting how he did it. I said, how long have you been working on that? He said, well, we’ve been trying to do it for a while but I wasn’t happy with the results. He said, you know I don’t take vacations, I work all the time. That’s Karl’s spiel but it’s true. He and Azzedine, they don’t like each other, but they’re identical when it comes to the fact that they work all the time. And the proof is in the clothes. They come up with things that nobody else can. Reece from Stylelikeu.com from Stylelikeu on Vimeo. 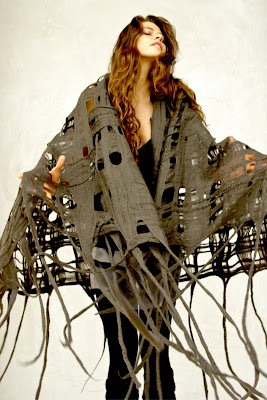 So, I recently swooped into Jumelle, a lovely boutique in Brooklyn right off the L train, to get my Taiana Geifer scarf. 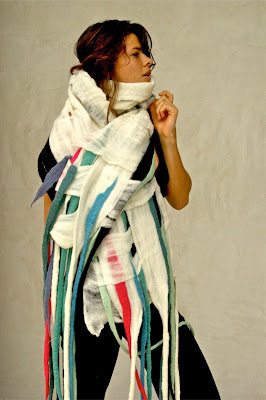 I had been following Taiana's unique felted merino scarves for awhile (read about Taiana here, here, and about her designer boyfriend Paris Kain) but could not find it at any online or NYC-based boutiques, despite it being mentioned that Maxfield in LA carried her line. I was so happy to find that this 21 year old's (so young and talented!) fine creations were just a train ride away. I have been so pleased with my purchase --- not only does the felt scarf keep me warm and protected against the NYC cold, it's like wearing the most unique dreadlock necklace that no one else has. I've paired it with everything I have so far and can't get enough. Looks like Jumelle still has them available but go soon as the boutique is having a clearance sale right now. The internet has transformed the way we live, interact, think, react, [insert any verb here and it will probably work!] I know that is quite an understatement, but I wanted to say it regardless. Now, for those who are getting swept up in New York Fashion Week, you can partake in some of the biggest shows live via streaming. The internet has brought you front row tickets! Tune into SHOWStudio for the Alexander Wang and Rodarte shows next week. And it's not just the fashion world stateside that will democratize access - check out live streaming from London Fashion Week, starting on 2/19/2010. Christopher Kane, Nicole Farhi, Twenty8Twelve, etc. etc.! I've come across Nicola Vassell in recent articles covering the art world and its struggle for a new identity vis-a-vis the economic downturn. Nicola is a director at Deitch Projects in the Soho neighborhood of NYC and has appeared in editorial spreads of various publications such as V-Magazine. I also came across her in a recent posting on Shala Monroque's blog for Pop Magazine. After seeing her very brief interview with NY Magazine's Video Lookbook, I like her vibe. 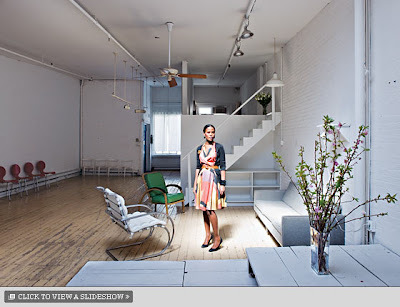 NY Magazine also did a profile on Nicola and her loft home in NYC. What do you do? Director at Deitch Projects. What are you working on now? A book called Jean-Michel Basquiat 1981: The Studio of the Street. Extraordinary year in the life of the downtown revolutionary Basquiat! Also, top secret artist salon (not beauty), multisense social experiment, exhibition space. Favorite song: Right now, all songs on the Best of Alton Ellis album. Rrriddim! Favorite artist: What an impossible question! Too many, from different movements and isms, spanning ridiculously extensive continuums and epochs. Describe your personal style. Jamaican sun/sea goddess meets titillating NYC innovation plus a dash of business glama. Who’s the sexiest person that ever lived? My boyfriend, Bob Marley, Roland Barthes, Cary Grant, Steve McQueen, Hegel. Where do you see yourself in ten years? Living the fantastical beach scape of a luscious, giant painting (a gay Cézanne or a brooding Caspar David Friedrich) somewhere near the South of France. What’s your hidden talent? Good Sambista! Ouve! If you could choose between love and independence, which would it be? One is ultimately inextricable from the other. Real love is independence—love gives you that freedom to do. If not both, then neither! Independence without love equals loneliness, forlornness, isolation. Love without independence equals irresolute, vacillating, wishy-washy, pussyfooting.